Yeah I expect to get a few 5* myself....I like this pickup. The star gazers are upset. 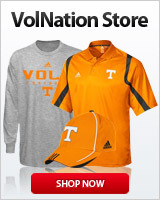 Are Dooley and Butch still the coaches? Don't waste your time Bass, the OP is a troll who only shows up when UT dares to let a 3* player commit. Kid may be a player. I think some including myself are questioning why we took him this early? I refuse to get upset about a commitment like this in April. If we're loading up on kids like this in December, I'll be ready to push the panic button. 4.7 was from 3-25-19 at Nike Opening event in Atlanta. 247 has started posting those results. fishfinder. After making several very nice casts around some brush piles and other submerged structures he was able to a decent size fish. Probably not what he wanted but it goes in the livewell just the same. He'll keep looking for tournament defining fish using all the tricks in his tacklebox. Yeah, we only have ten months and a whole football season until signing day. Shut it down and accept anyone that will settle to play at the University of Tennessee. We’ll never be competitive again. This staff has a much better resume for evaluating talent and filling spots based on what they want. But hey, enjoy being miserable. I was "meh" on Roman Harrison. Now he is looking like he could potentially be the steal of the '19 class. Hope this guy is the same. VQ guys not sure about this one either. As others have eluded to, alot of this negative reaction to the addition of what in all likelihood is a solid player, stems from the fact that people on this board are repeatedly taken in by and have their hopes built up by "insiders" whose track records are no better than a magic 8-ball. I don't know when people are going to realize those guys are FOS, maybe that's too much to hope for. I miss the hell out of Krystals. They’ve failed twice in Texas. Doing great in New Orleans. Dude, they go in your MOUTH. If this kid is a take come NSD... we're screwed. You can sunshine pump all day. This kid is no where near SEC size. I guess Butch didnt teach yall any lessons. Calloway was the 2017 Region 3-AAAAA Athlete of the Year and Clayton County Offensive Player of the Year as a sophomore. He won the Region’s 7 on 7 Most valuable player. Cam Newton was there and thinks this kid is special. He played QB, WR, DB and returned kicks and punts. Was driving into Troy AL not long ago and saw a Krystal on the side of an intersection. Hadn't had one of them in years, so I stopped and bought a four pack for the road ahead. They took me all the way to Memphis.